The weatherman was right. I woke up to this. I would say its about 3 inches. 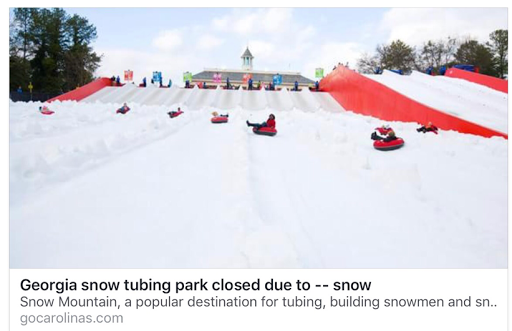 Enough to cover the roads, close some businesses and a lot of sledding. I keep watching up the road for the kids to come out and play. The snow is still coming down. Me and Nick may take a walk when it stops. Its 29 degrees here at 10:00 in the morning. One of the managers asked me to reschedule a couple appointments that were scheduled for today. He was unable to get his car out of the driveway and I have the means to login to the work computers from home. I also had this smiling at me this morning. 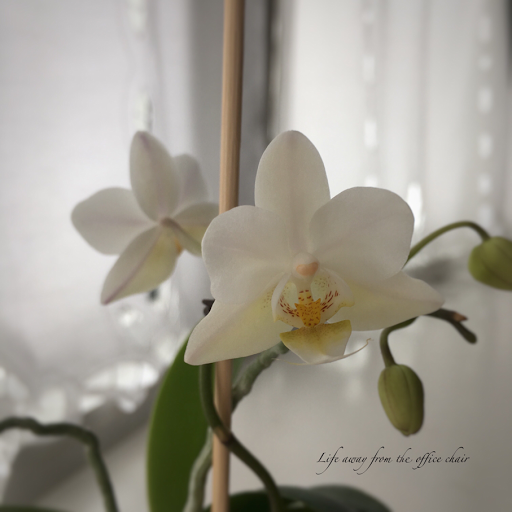 The first flower of the season. Shes small, but every year when she sheds her flower, I will repot her in a larger pot. Meanwhile, I decided to make some egg muffins ( literally ). 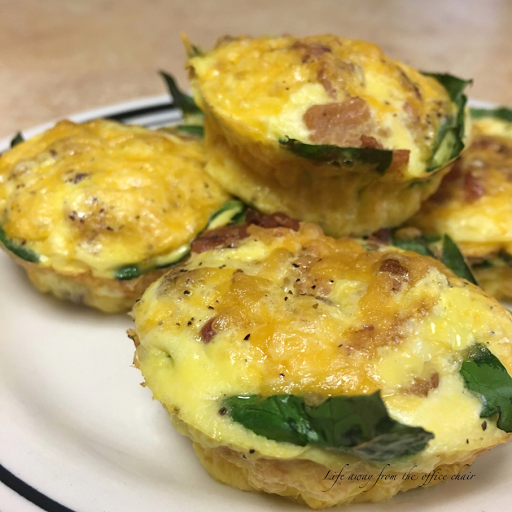 I sprayed a muffin pan with cooking spray, and filled each cup with spinach, eggwhites, bacon and cheese. Then I baked them at 350 for 15 minutes. Delicious and only about 50 calories each. My plans today are to stay in. I have some laundry and house work to do, then Im heading to the kitchen to make some homemade Butternut Squash Apple Bisque soup using a recipe I found at Mountain Mama's blog. Go check it out. Ive never had butternut squash soup and only tasted butternut squash once, so this will be a surprise treat. The husband has his doubts about it so I hope its a win. If not, we will be eating bread and milk sandwiches. Haha. Just kidding, but cornbread and milk would not be out of the question. 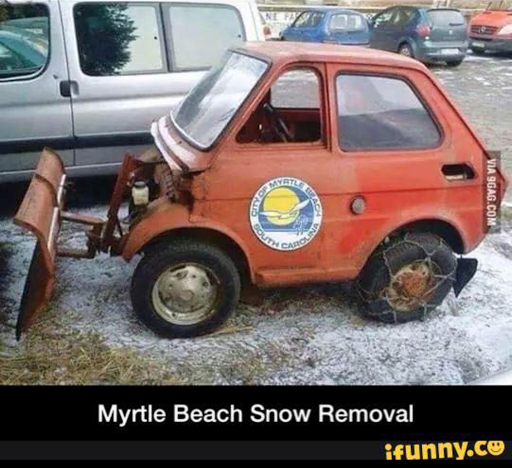 I heard Myrtle Beach was even expecting some snow. And the ones that have it can't use it. I'm loving our break from the stinking 80s...it's 61 degrees here now. I wuv it. How nice! Wanna trade places? Wow yes I think you did. Egg beaters. If I crack a real egg, its all going in there! Last check, 29 degrees cold and dry here in Opp, Alabama. I don't have any spinach, buy I'm going to try your muffins without it!! Bacon is all you need! It is hot here. And we will be nudging 100 for the next few days. Your cool photos look blissful. I am a fan of butternut squash. I hope you love your soup. Where are you? At The equator? Australia. And I suspect it would be even hotter at the equator. Shudder. Those muffins look awesome. For once I don't have spinach handy but it is on my list. Our snow was only 2 inches but it thrilled my 6 year old inner self. We did manage to get a walk in. There was ice under the snow. Slick! Snow here and 10 degrees. We did get into the upper 30's by noon and got a 2 mile walk in. I bet those quiche looking things were scrumptious. We picked up some small quiches at COSTCO and they age great. We don't often eat pre-packaged food, but there are times after Monday night yoga class when we don't have a lot of time to prepare something to eat so Jilda heats up a few of these and yum. Quiches! Thats what they taste like! A beautiful flower blooming this early foretells a beautiful year ahead. wE ARE AT 44 DEGREES headed for upper 30's which is cold for central Florida. 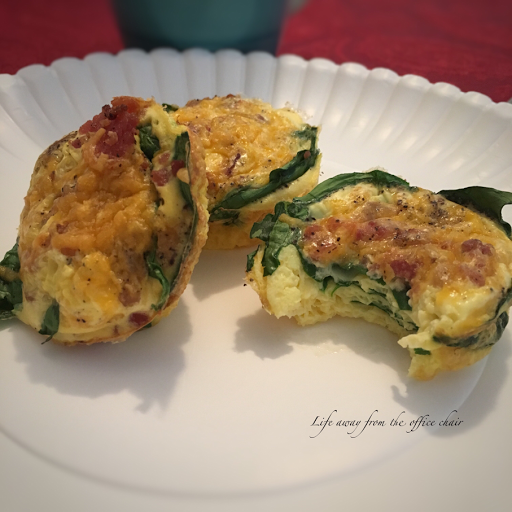 The egg muffins look delicious!!! Good on you! 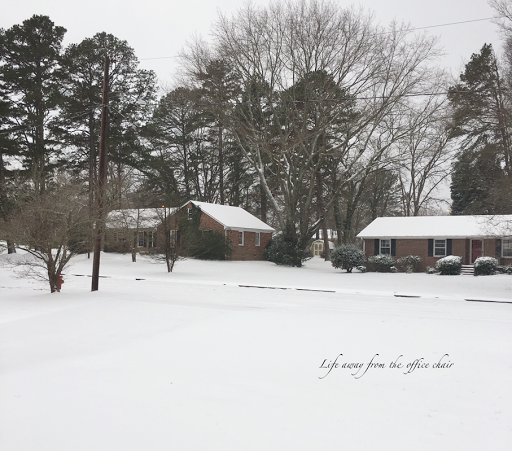 Hope you have(had) some snow fun! Enjoy the Florida Weather! The muffins were great! And no snow play for me today. Just tooo cold. It is 5 degrees here again today, with snow on the ground. Your change of weather looks pretty. I hope you enjoyed your walk. Did you make snow angels? No snow angels. I was lucky to have made myself go out and walk in it. Which is odd for me. Im usually like a kid and the first one out playing. I guess im getting old and lazy. can i make your muffins using whole eggs ? I will add cheese, bacon, cheese and a few peppers..think I'll give it a try in the morning...night night...it's 11 here and i'm heading to bed..
yes. Im sure whole eggs are better. You never let us down. Cant wait to hear about them. Thanks for the shout out, Lisa! I truly hope you and hubby liked the soup! We have cold COLD weather here - it was zero this morning when I woke and I nearly froze going out to feed the birds! Stay safe on the roads, Lisa! It was different but the more we ate, the more we liked it. I took some to work the next day and its even better. Ill be making more of this. thanks for sharing the recipe. Our weather is currently an unseasonably warm 65 degrees, but snow expected, with temps. in the 30s on Saturday. The egg muffin is 50 calories? I'm up for that(beconless for me though), but cannot be trusted with butternut squash in any form. It is wayyy too delicious. I've even eaten it raw while prepping.